Author: Klempner, D., Sendijarevic, V.
This handbook is designed to support engineers in their efforts to develop practical solutions for industrial design and manufacturing challenges. 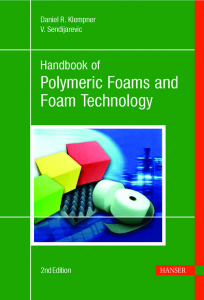 It describes all classes of polymeric foams, including their chemistry, synthesis, commercial production methods, properties, and applications. Since the previous edition of this book, many of the industry’s most pressing problems—such as environmentally acceptable blowing agents, combustibility, and solid waste disposal—have been addressed and significant progress has been made. This edition reflects these developments as well as several new classes of foams brought to industrial application in recent years. Foams enjoy growing popularity because they have unique insulating properties, impact-resistant characteristics, buoyancy, and outstanding strength-to-weight ratios. 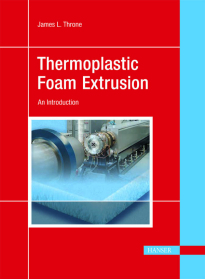 This unique introduction covers both low- and high-density thermoplastic foams in an easy-to-follow style, avoiding excursions into the theoretical aspects of foam processing. The book includes information on materials and their properties and all major foam extrusion processes. A considerable part of the volume is taken up by a comprehensive troubleshooting guide, designed to help newcomers as well as seasoned practitioners navigate the pitfalls of foam production. Jim Throne is now doing business as Sherwood Technologies, Dunedin Florida. His consultancy focuses on advanced plastics processing technologies, including thermoforming, foam processing and rotational molding. He was a Fellow of the SPE, Fellow of IoM3 (England), and Chartered Scientist (England). He was SPE Thermoformer of the Year 2000. He received the first Lifetime Achievement Award from the SPE European Thermoforming Division in 2004 for his technical contributions to the international thermoforming industry. In 2004, he was inducted into the Plastic Pioneers Association. Mr. Throne has published 10 books in polymer processing, including four in thermoforming and two in thermoplastic foam processing. He holds nine U.S. patents, including two in thermoplastic foams and a fundamental one in thermoforming CPET. He has written more than a dozen technical book chapters and has published and presented nearly 200 technical papers. He was Technical Editor of SPE Thermoforming Quarterly and Editor of SPE Rotational Molding Division Newsletter. Mr. Throne has a B.S. in Chemical Engineering from Case Institute of Technology. His MChE and PhD in Chemical Engineering are from University of Delaware.